Passenger Capacity: 14 Baggage Capacity: 194 cu.ft. 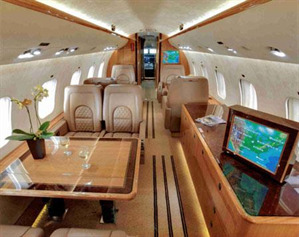 The Global Express 5000 is the final word in luxurious air travel. It features all leather seating, a refreshment center, full lavatory facilities, as well as state-of-the-art navigation and safety equipment.